In this week’s podcast, I talk about the problems that freelancers can face with isolation – working from home alone can lead to cabin fever, so I discuss plenty of tips for making sure you maintain social contact while still getting all your work done. Hello, and welcome to Episode 11 of A Little Bird Told Me, the podcast about the highs, the lows, and the no-nos of successful freelance writing. I’m Philippa Willitts and today I am doing another solo episode and I’m going to be talking about how to overcome isolation as a freelance writer, or freelance anything really. Before I start, I want to remind you that if you go to ALittleBirdToldMe.Podomatic.com you can subscribe to the podcast in a number of ingenious ways such as RSS, iTunes, Stitcher and you can also find links to our Facebook page. As well, you can find links to my various websites and social media presences. So please, head over to ALittleBirdToldMe.Podomatic.com and sign up and get in touch. Like I mentioned, I’m going to be talking about overcoming isolation. Working from home is brilliant in many ways. There’s no need to set out early in the morning on a freezing winter day in the rain to catch a crowded bus to work. You don’t have a dress code, you can basically just stumble downstairs in the morning and you’re already at your desk. If you want to take an early lunch you can do it. If you want to start late and finish late you can do it. If you want to work Sundays instead of Wednesdays, one of my own favourite things, you can do that too. There’s no office politics, no one eavesdrops on your phone calls and let’s face it, there’s no heart sinking moments when that unbearable colleague walks through the door. However, that being said, working from home isn’t without its problems. You don’t have annoying colleagues in the room but, you also don’t have supportive ones either. You don’t have to trudge to the office in the morning but, you also risk not leaving the house at all. 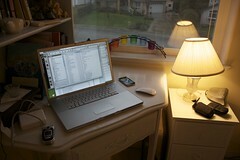 When your home is also your workplace, isolation is a big risk factor that many freelancers face. So, what steps can you take to overcome isolation? My first suggestion is lunch dates. You need to eat lunch in order to fuel your brain for the afternoon ahead so why not once a week arrange a lunch date with a friend, or a former colleague, because when you work at home it’s really easy to get into the habit of grabbing a sandwich and eating it at your desk because taking half an hour or an hour can feel a bit pointless. However, if you take an hour or two to go out and socialize over lunch it can do you a world of good. You get to see your friends. They’re probably in a similar situation even if they don’t work at home, at their desk they may be tempted to just grab a sandwich and work through so it’s good for both of you and you get to see your friends. On a similar note scheduling social time specifically is a really good idea because it’s easy to promise yourself that you’ll take an afternoon off but then some work will come in or it’s raining, or you just don’t feel like it so your planned walk in the park, or trip to the shops starts to look quite a lot less appealing. But, if you’ve scheduled the time in your diary and preferably arranged to meet other people during that time it’s a bit harder to cancel so you’re more likely to go out and rediscover what having human company is like. You don’t need to feel guilty about taking time away from work because chances are if you have a change of scene and some good conversations with someone you care about you’re going to come back refreshed, full of ideas, you might have seen something that sparked your creativity. So it’s not a negative anti-work move, it’s actually good for you socially and for your work. The next tip is don’t always email. When you need some information from somebody the easiest thing is to just drop them an email. It’s what we do all the time, “Hi, do you have that document?” “What time do you want to meet on Friday?” It’s quick and easy to just send them an email. However, breaking that habit and making a phone call instead, just perhaps once a day, it can be a great way to break through the monotony and have a conversation once in a while. Why not ring and say, “What time do you want to meet on Friday?” You’ll hear a human voice, you might have a chat, and it’s all good; do it. We kind of forget that before 15 years ago that is what we did, we rang people or heaven forbid saw them. You don’t want to make a phone call for every single email you have to send, but once or twice a day why not pick up the phone. If you find that you’re getting cabin fever and you’re sick of the sight of the same four walls, work somewhere different for a while. Go out to a coffee shop, go to the library and do some work there. You might find that you’re more focused but also, just having people milling around and being in different surroundings can do wonders for your state of mind and for the work you do. You might cringe a bit at the thought of those guys in Starbucks with their Macs but they do it for a reason. It’s quite nice to have someone bring you coffee and to be in a bustling environment once in a while rather than the solitude of your home office. The library similar, especially if you’re a writer, they’re full of books and information what more could you need. They may not have Wi-Fi but if they don’t, you’ll probably get even more work done. There are books everywhere, it’s writer heaven and they’re all free which is even better. I generally tend to be too self conscious to set up in Starbucks to work but, setting up in the library is brilliant. My next suggestion is something that Lorrie’s talked about before which is collaboration. 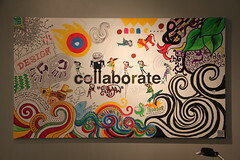 It can be a good idea to collaborate with fellow freelancers to offer a more complete service. So freelance designers for instance, because web designers are often times asked to recommend copywriters. Copywriters are sometimes asked to recommend web designers. There are also times when working together on a bigger project can be really valuable. If you make connections with other freelancers, perhaps local to you, although with the Internet they don’t have to be local to you, they can be anywhere in the world. But, if you collaborate with them and make some really good connections you both benefit and it’s great for business to have those kinds of collaborative relationships. But collaborating with other professionals can break down isolation problems as well. Now, the next suggestion is one that seems to divide people. Some people love the idea, others hate it and this is co-working spaces. These are where people who work from home can get together and all work together in the same room. They are events that might take place weekly or monthly, they can be in a variety of places but what they’ve all got in common is people who normally work alone can all work together. Now I attend a co-working space in the city I live in. It’s weekly but I can’t always attend that often. However, when I do go I thoroughly enjoy it. Some weeks it’s quite chatty, other weeks everybody has strictly got their head down and getting on with lots of work. Either way being in the company of other people is great. It’s a whole different situation and I’m quite often very focused when I’m there and I get a lot done. Some people’s criticism of it is that I think they worry that it might be really chatty and it’s more of a social event than a working event. But, the ones I’ve attended even where some people are chatting, others have headphones on and are working away so even if some people are chatting it doesn’t mean everybody is you can get a lot of work done and you can just get the benefit of being somewhere with other people. Another feature of co-working spaces is they can offer the beginnings of a collaborative relationship. Some of the coders that attend the one I go to collaborate on work and I am now looking at working with the venue to provide some workshops soon. Now, that was a really unexpected lovely benefit of attending these events. I’ve met some really nice people. The one I go to is called Jelly. There are Jellys all over the country, all over the world I think but there are other types of co-working events. Google your area and co-working and see if anything comes up and you can try it. I was really nervous the first time, I didn’t know what to expect but it’s been great. Something to bear in mind when thinking about isolation is accountability. That’s a bit of a sideways reference I suppose but, it’s definitely related to isolation because being entirely isolated can make it hard to keep yourself accountable and make it hard to achieve everything you’re trying to achieve. Keeping yourself accountable does very often involve somebody else. Lorrie and I have mentioned before that we have what we call accountability days once or twice a week or a fortnight. We basically email each other either every hour or every half hour with what we’ve achieved and what we are doing next. It’s a really effective way of keeping us focused. Some people go quite a lot further. A guy called Maneeshi Sethi writes a blog called Hack the System and recently he wrote a post about how he hired someone to slap him in the face. Honestly he did! What happened was he put an ad on Craigslist looking for somebody who he would pay to sit next to him, they could do their own thing, as long as they kept an eye on whether or not he was working. What led up to this was that he had used some software to see how much time he was wasting and he was really horrified by his results. I suspect a lot of us would be. So for some reason what came to his mind was paying somebody to slap him and he did it. His productivity increased from an average of 35% to 40% up to 98% on the day that the slappy person, I’m loathed to say slapper was by his side. It’s a fairly extreme example but what it does go to show is it’s harder to waste time when somebody else is keeping an eye on your progress. Now rather than hiring somebody to sit next to you and carry out acts of violence, why not get together with somebody periodically. You could sit next to each other and encourage each other to keep focused. It can work wonders for your productivity and help to beat feelings of isolation as well. Networking is an important factor in being a freelancer, being self employed. But, it doesn’t just have to be a business benefit, it can be a really good opportunity to socialize as well including meeting possibly other self employed people who will be in a similar situation to you. I attend networking events, I’m not brilliant at them I have to admit, I’m forever striving to improve how I do them. But, they’re a great way of meeting lots of people who quite often have something in common through your work. They can have many kinds of benefits and bonuses from a business point of view. You can make contacts, you might get some work as a result if you meet someone who needs just what you’re offering. You’ll probably swap lots of business cards but also it means you spend two hours talking to people, making conversation, chatting. It’s not just good for business it’s good for freelancers to make sure they get out and meet new people. The next point is easier said than done but it’s keep the work coming in. Basically the more work you’ve got the less time you’ll have to feel lonely. Having a good structure to your day can also really help to keep your mind on work rather than thinking about how much you want to chat with someone. I’m one of these people who functions very well on her own but there are points where I realize I haven’t had human contact for way too long and that’s not healthy. But sometimes if I’ve just not got enough work I kind of mistake that for feeling feed up personally. I’m not, it’s just that I don’t have enough to do so, if you keep a steady about of work coming in this is obviously easier said than done for a freelancer, but if you can do your best to do that it will help with pangs, I think. Now, social media it’s not the same as meeting up with people face-to-face but getting yourself on Twitter or Facebook, wherever your friends are basically, can be a really positive way of interacting with people when you’re home alone. Mutual support, interesting links to click, and just silly things to make you laugh. They can all make a positive difference. Similarly online forums for freelancers or local business forums can provide advice and support that can be really beneficial. Even start a podcast, the conversations that Lorrie and I have around our podcasts, not to mention once the recording is finished on Skype, are really good for mutual support and plenty of gossip. Lots of people, not just freelancers, who can’t get out and about rely on social media for social contact. I know lots of disabled people who can’t get out and Twitter for them is a life line. Even if you’re in a different situation and it’s just work that you do on your own, having somewhere, be it a supportive forum, or friends on Twitter or Facebook, or wherever it is that works for you where you can go and let off steam or get some advice is really valuable so don’t write it off just because it’s not face-to-face contact. The final tip is join, join, join. Join groups, join classes, join societies. These can be work related or they can be entirely unconnected with your work. Do you want to learn about bird watching? Do you want to improve your dancing? Do you want to improve your professional development? Go for it. Do it. There will be something that you can join that will force you to meet other people, probably once a week, and having that as a regular event in your diary will be brilliant. You’re learning new skills, be they work ones or personal and you’re forcing yourself into a new situation with new people. There are things like Geek Up which is where web developers can get together and just socialize because a lot of web developers are freelance and work on their own. I know various people who attend Geek Up and really get a lot out of it. There are that kind of group for all sorts of professions and all sorts of interests, and skills, and situations. Check out your local college, look for adult education centres, and look for societies and groups. Lots of towns and cities have one of those cafes where there’s a notice board with notices about all sorts of things. I can think of the exact one in my city. Go and have a look at the notice board and see if anything takes your fancy. Then, sign up and do it. Don’t think about it endlessly, just do it. I hope some of those will give you some good ideas about how to combat any isolation you might be feeling if you work at home on your own. Freelancing is brilliant. I love the flexibility, I love working from home but, sometimes you really do need human contact with somebody else. When you’re self employed you have to make more of an effort with that than most people do. Plan things, don’t be vague, plan it specifically and mnemonically to do it. Thank you very much for listening. Don’t forget to go to ALittleBirdToldMe.Podomatic.com and subscribe. You can also leave us reviews on iTunes, comments on Stitcher, or on our Facebook page too. We’d love to hear what you think. Also, go to the Podomatic page to check out the show notes where I will link to places I’ve mentioned on this podcast and you can also find how to contact me. I’ve been Philippa Willitts and I will see you next time! In honour of Blog Action Day 2012, Lorrie and I have created a podcast episode on their theme of The Power of We, and how it can help freelance writers. Have a listen and let us know what you think! Philippa: Hello and welcome to Episode 10 of A Little Bird Told Me – we’ve reached double figures – hurrah! Lorrie: …and I’m Lorrie Hartshorn, and today, we’re podcasting in support of a really great cause – Blog Action Day. 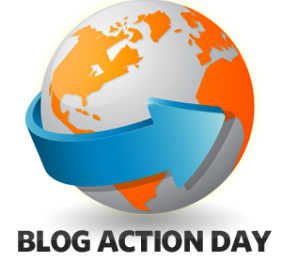 Since 2007, Blog Action Day has been uniting bloggers, vloggers and anyone, really, with an online presence, and encouraging people all over the Internet to blog about one important global topic all on the same day. Now, this year’s subject is ‘The Power of We’, and although it’s a bit of a cheesy title, it’s a great one because there’s so much to say. Pip and I wanted to get together – which is very apt for the Power of We! – and record a podcast that reflects our thoughts and feelings on the topic. Philippa: We have talked before about the fact that both of us really benefit from working together on the podcast, and also from the mutual support we give each other on a day-to-day basis, really, whether that’s when we have accountability days with each other, which we mentioned in Episode eight, I think, we also check things out that we’re unsure of, or just offer each other an opportunity to offload! Lorrie: And my God, don’t we take advantage of it? Lorrie: Whether it’s email or Twitter, there’s usually a message from Pip somewhere around and I know I return the favour, so it’s all good! But, our podcast, really, is just a collaboration in what can otherwise be quite an isolating job. We tend to think of it as keeping your competitors close but your colleagues even closer, as it were. There are a lot of freelancers and sole traders out there who seem to operate under a big dark cloud of constant suspicion and they’re pretty cagey when it comes to talking to other freelancers. But, while there’s some wisdom in keeping clients and your business techniques under your hat sometimes, it’s really exhausting to have to be on your guard 24/7. Philippa: It really is. And the fact is, if you are helpful to people, others have a tendency to be helpful to you back. Lorrie: It’s true. It can be counterintuitive first because someone has to take the first step and be helpful first, and not everyone’s going to reciprocate. But, at the end of the day, as a freelancer or sole trader, you can’t win and do all the work in the world. It’s not possible. I think we’ve gained much more from collaborating than we ever could have from regarding one another with squinty eyes across a room – or across a social media platform, in this case! Philippa: It’s so true! I quite often get emails from people saying they want to be a freelance writer and asking for advice, and I do try to be as helpful as I can, because I did the same to a few people when I was starting out and they were kind enough to offer me some really useful help and advice, so I feel it’s important to pass that on too. Lorrie: Yeah, I have a bit of a different experience with that. When I was setting up – I started freelancing when I was at University and it was on a part-time basis – I felt that I couldn’t approach anyone for help because I’d be begging information from people. I realise now, 10 years on, that that’s not the case. It can be easy to be a bit stand-offish with other freelancers – and wannabe freelancers, in this case – because building up a successful freelance career really can be hard and you get visions of them swooping in, becoming this copywriting wizard that you can never be and stealing all your clients – but, really, it’s a good idea to help one another out. While you do have to be careful, there’s plenty of advice you can share that will help someone else build up their business without having a single detrimental effect on your own. Philippa: Definitely. And this is just one way in which “the power of we” really does benefit freelancers. A sense of solidarity and mutual help and support empowers individuals to access information and make connections with others. But there are wider benefits from harnessing “the power of we” too, for freelance writers. Lorrie: Yeah, I mean, if you consider the success of some of the best businesses out there, it’s never really the result of one person working alone – it might be when they’re setting up, but sooner or later, it’s not just one person anymore. I’ve rarely met anyone who has all of the skills necessary to deliver a range of services without any assistance, or advice or input from someone else. You and I, Pip, for example, have different strengths and skills – we’ve got quite a different skill set even though we’re both copywriters and editors, we sort of lean in different directions. While it’d be easy to become envious of one another if we were that way inclined – I could think, “Oh, well Pip’s got a more innate understanding of social media than I do!” and you could think, “Oh, well Lorrie understands narrative technique better than I do!” But, the fact that we’ve got an open and honest dialogue with one another means that we’ve both actually got twice as much information at our fingertips, which is never a bad thing for business. Philippa: Exactly! In episode four, I think it was, we talked about whether or not freelancer writers and editors should ever work for free. We both felt really strongly that, except for the odd incidents or doing voluntary work deliberately for a non-profit, writers and editors should always insist on being paid for their work. Because working for free, or for a very low fee, it devalues your skills and abilities, but also devalues the skills of other freelance writers who are trying to make a living. Lorrie: Yeah, in the weeks that followed that episode, we had so many discussions across social media with other freelancers – not necessarily just writers and editors. There was that cake-baker wasn’t there? Tsk, I say “cake baker” – I’m obviously not an expert! “Confectioner” would be the word – I’m quite ashamed now, as a wordsmith, that I came out with “cake baker”! Philippa: Well, she does bake cakes! Sometimes it’s just good to say it as it is! Lorrie: Haha, thank you! You know, everyone I spoke to – both on and offline (as you can well imagine, I took this topic to the end of its possibilities!) – was outraged by the idea that there are people out there who have the cheek to ask writers and editors to work for free. But, this isn’t a rare thing – that was the most shocking thing of all – that it’s a very, very enduring belief that working for free is both necessary and desirable. Philippa: Yeah, I think if you’re not aware of certain freelancing websites or that kind of culture that’s grown online, then it is really shocking to hear that people are expected to write 1,000 words for $5. Offline companies wouldn’t dream – if they’re not very savvy online – of hiring a writer for that amount of money and, yet, online, it’s become a cultural norm, really. Lorrie: Definitely – I had a meeting with a new client the other day and I mentioned it to her; she was appalled! She was so, so shocked, and she was actually wanting to pay me for the meeting I was having with her because some people just don’t have that mentality. Unfortunately, though it’s just something that’s come to the fore at the moment. When it comes to the Power of We, Pip and I really wanted to talk about the fact that there’s strength in numbers: the idea that by sticking together and adhering to a list of standards, freelance writers, editors, what have you – can help to alter the state of the market. Philippa: Yes, because it can be so difficult when you are on your own, to stand up for your right to be paid a decent wage for the work you do. Philippa: Yeah, some clients put the pressure on to accept lower fees – I’ve had emails saying, “Well, this person will do it for $5, why won’t you?”, but strength in numbers is a really powerful thing. And without wanting to come across all lefty, it’s also why Unions exist for people with regular jobs! It’s not something unique to freelancers. Lorrie: Definitely. And I think a lot of clients don’t really understand what goes into the process of, say, translation or copywriting or editing. They see someone doing, as you’ve just said, “the same thing” – which, of course, never really is the same thing (it’s just a hash-job version of what you do) – and they want to know why you can’t price match. It’s a real shame. Lorrie: I know! I really wanted to just say to him, please listen to our podcasts! Philippa: Oh that’s so depressing! Yes, he clearly needs to tune in! Lorrie: It’s true – it is depressing! And it was clear to me, as a copywriter, from his description of himself that he’s not a professional copywriter – he referred to “doing a bit of content writing in between other projects” and stated that he normally charges between about 0.9 and 1.2p per word. Lorrie: Yeah, and yet, there he was, getting so many positive responses – this was a massive thread. Everyone was like, “Oh, yes, me, me, me – I want free articles!” And if you’re a full-time writer, you can’t compete on those terms and still pay the bills. And as I mentioned in Episode 9, you need to compete on quality instead, otherwise you’re on to a loser. Philippa:…and hiring someone who really knows what they are doing. This is why they then think start to that writers asking for decent pay are being greedy! Philippa: I should say at this stage that neither Lorrie nor myself charges extortionate fees! Lorrie: I think people – clients – lose sight of the fact that everyone deserves to be paid for what they’re doing. They’ll see one person saying they can do 50 articles for two dollars, and then you don’t want to do the same thing and they don’t stop and think, “Would I want to do hours and hours of work for about £1.50 an hour?” – no, they wouldn’t – of course not – but they lose sight of that and they just want you to price match. You just can’t argue with people like that on the face of things. People who hire freelancers for nothing, and there are so many of them out there, or for less than a penny a word will soon find out – well, this is my hope, anyway! This is the plan I’m sticking to! – they’re going to find out that they’re not getting the results they’re after, they’ll have sales letters that don’t work and email campaigns that no one will open. And this is when you step in as someone to whom copywriting isn’t just a time-filler – it’s not something you do “between other projects”, it’s something you’ve trained long and hard to be able to do properly. Philippa: I think often you can only prove your worth by producing great quality copy. Reassure them you’re worth it, and then prove that you’re worth it! Lorrie: There’s no nicer feeling, really, than getting a first communication back from a new client when you’ve sent them a piece of work and finding out that they’re really happy with what you’ve produced for them. I had it recently – I wrote some sales copy for a brand new client and got some really positive feedback. And it never gets old, and that’s because I researched my topic and I sat down and spent a concentrated amount of time getting the content just right. Philippa: It always scares me – opening the first email after I’ve submitted something, especially to someone new but it feels amazing when they open it and they’re really pleased! Lorrie: Haha, definitely! The fear is always there – and I think it should be, because it drives you to do well. Philippa: You don’t want to get complacent. Philippa: Haha, that was a beautiful link! Lorrie: Thank you – I genuinely am! But there’s a movement I’m a bit of a fan of, actually – Pip and I discussed it the other day – called, “No Peanuts for Translators”. It’s quite an informal movement – the website’s a bit chaotic – rather than anything big or official, but it’s quite a heartening thing to have found. Philippa: Yes, I had a look at their site after you told me about it and it’s certainly based on a really great philosophy. For listeners, we will link to the site in the show notes if you want to have a look at it. Lorrie: Yeah, do go along. It is just for translators, but Philippa and I are working on something for copywriters and editors – and other freelancers, actually – something a little more generalised, and with our own take on things, rather than just a carbon copy. But yes, for translators and interpreters, it’s great. Really, what we were impressed by was that the mission statement, if you like, empowers translators and interpreters to resist lowering their rates, to communicate their standards to existing clients and to explain to potential new clients – and colleagues (which I’ll come back to) – why they’re not prepared to work for unreasonably low rates. The aim, as outlined in the site’s mission statement, is to create sort of a provider-led market rather than a market in which clients can drive down prices again and again until they’re at a tiny, weeny level. Philippa: That’s so important. There are problems with a lot of the freelancing websites on the internet for this very reason, but there is one that I write for quite regularly – and I think Lorrie has as well – called Constant Content. And while it’s not perfect, because you’re doing on-spec work rather than commissioned work, what’s good about Constant Content is that they have a minimum amount that you’re allowed to charge. And it’s quite a low amount, their minimum, but the principle is good – they encourage you to ask a decent amount for your work – and that’s really important, and sadly unusual. Lorrie: Yes, it’s seven dollars an article and, yes, that’s low but, compared to what some people charge for an article, it’s bloody not! Philippa: Plus, they are perfectly happy for you to charge $100-200, or whatever you deserve. And what’s lovely is that, when you get an email that your article’s been sold, you know you’ve got $100-150 on the way. Which is great! Lorrie: This is it – they’ve got a list of average prices. I think, for the full rights to one of the longer articles, it’s $120. Philippa: Yes, and articles do sell at that price – I’ve sold articles at that price. Lorrie: Ugh, I haven’t yet, but I’m quite new to the website. Philippa: Yeah, it’s great but it does frustrate me sometimes because you can do quite a lot of work for seemingly no benefit but, once it’s up there, you don’t have to do anything. Someone can buy it and you get a lovely surprise. And what’s good about them having a minimum price is that it protects writers from themselves, really. Lorrie: Yes – it’s true. The problem in a lot of cases, though, is that it’s not just clients who are driving down prices, as we see from the copywriting example above – and I hate to call him a copywriter because he’s not – is that freelancers are often complicit in bringing down market conditions. Philippa: I agree, but I think the nature of the market encourages that. Lorrie: Yeah, unfortunately. But No Peanuts also discourages sourcing work in ‘translation mills’, as I call them, such as ProZ, GoTranslators etc., and for agencies, actually. It’s become quite the thing for anyone and his dog to set up a ‘translation agency’, which a lot of the time, it’s just someone with a front-end website and a database of translators that they’ll regularly try and exploit. And I’m not saying the same thing about all agencies but, for new translators and new graduates, it can be difficult to distinguish one from the other and find a reputable agency rather than one that will rip you off. It’s the same for copywriters, editors and for other freelancers as well, actually, you’ve got sites like freelancer.com and elance.com. Prices are driven down and down, to the point where it’s often impossible to get work that will pay the bills. Philippa: Yes indeed! People would have no choice but to pay people what they are worth. But even if completely eradicating low pay in that way is an unrealistic dream, then just knowing that there are people who will back you up and will reinforce your worth is important. Freelancing work is often done alone, by its nature, really, but when we can make connections with others, be it in real life or online, we can strengthen each other’s resolve. Lorrie: Definitely. I’ve had as much strength from my clients as I have from other freelancers, actually. Having a client sit there in front of you and say, “Do you know what, that’s disgusting – I’m prepared to pay you what you’re asking; I think you deserve to be paid for your work.” can be such a boost. You might not even realise you’re in need of that boost to your self-esteem and confidence but you are, because as we say, freelancing can be really isolating. I mean, for example – for a couple of days ago, or maybe weeks, now, I was blind copied into an email from a fellow translator recently, and I get the impression that she was basically just using me as a way of whistling in the dark and boosting her own confidence (which is 100% fine with me!). The email was to a translation agency that had offered her some work that was way, way below her very reasonable minimum rate (that’s how you charge for translation – it’s per source word, so per word in the text you’re going to be translating). Lorrie: Exactly, you don’t just pick that up while you’re sitting in the bath – you have to sit down and have a good read about these sorts of things. So anyway, in her email, she reiterated her minimum rates in the email, she highlighted the fact that she’d asked them previously to stop emailing her and offering her unreasonable rates. She signed it off professionally – she wasn’t rude – but it was 100% clear what her standards were – basically, the agency ‘got told’. I just wish more freelancers, myself included, had the courage to send emails like that rather than just brushing it off! Lorrie: Yes, it gives you a massive boost to your confidence. As we’ve said before, it’s sometimes really hard to be as assertive with clients as you sometimes have to be, simply because you are your business. You feel like you’re going to be judged or attacked because you’re just one person who’s saying, “No, I think I’m worth more than that.” It’s one of those times when a bit of distance and objectivity really helps – you think of yourself not as Lorrie or Philippa, but as ‘my business’.Philippa: Yes, I mean, harnessing the Power of We does mean we have people we can check things out with. I know that both Lorrie and I have, on more than one occasion, emailed each other and said, “I’ve just got an email from someone who wants me to do x, y or z. Am I being really unreasonable to think that’s not OK?”. And by doing this, we can talk out what is happening, really, and if we come out of the conversation saying yes, they are being unreasonable, it feels much easier to refuse the request because we know it’s not just us! Philippa: We are going to be talking more, in an upcoming episode, about dealing with isolation as a freelance writer, and sticking up for ourselves in this way is yet another reason why combatting any isolation we may feel is a good idea. Lorrie: We’ll also be looking at how to be assertive without being unprofessional, and I reckon the topics will be more closely linked than you might think at first! Philippa: Yeah, yeah. Something I’ve said before, and I’ll say again, just because somebody accepts low pay does not mean they are a bad writer. Philippa: It could be that they live in a country where the cost of living is very low, so they can afford to ask for those fees and don’t suffer as a result. Or it could be that they really need to be charging more but simply don’t know how to break out of the elance / guru.com type trap. Some badly paid writers are great, some are awful – but that can be the case with well-paid ones too! What I want is for all writers to feel empowered to ask for the wages they deserve. Lorrie: Exactly – and that’s not an unreasonable thing to want, I don’t think. After all, we have a minimum wage when it comes to salaried employment. We’ve all got bills to pay and it’s only fair to earn something that’s at least somewhat in line with living costs where you’re based. As I mentioned earlier when I was talking about the No Peanuts movement, I think the key thing is for freelancers to harness the Power of We to try and alter the way the market works. And if one person stands there and shouts about the low wages they’re offered a lot of the time, it’s true that they’re likely to be priced out of freelance work. People will at them and think he’s more expensive than Copywriter X, best not go with him. If, however, we take a leaf from No Peanuts’ book and understand that, without the Power of We, we’re all going to end up working for peanuts, I think we’ll be on track for a much fairer deal. Philippa: Absolutely, absolutely. This is such a big issue in freelancing, and it’s not one that’s going to be solved quickly. But in order to try and solve it, we really do have to join together and support each other – as friends, colleagues, fellow freelancers. Trying to price other people out of the market does no one any favours, including ourselves because we might go, “Wahey, I got the job in the end!” but you’re not even making the minimum wage as a result. And this is why we really wanted to talk about this again, but specifically in the context of Blog Action Day and the Power of We. Lorrie: Definitely – if you start pricing other people out of the market, as Pip says, you’re pricing yourself out of the market. It’s going to be costing you money to allow clients to lower the market rates – you’re paying for your own demise, really. Just with a bit of collaboration, just by saying to clients, “I really appreciate you paying me a fair wage” and by saying to other people, “It’s fine for you to ask for money for that.” Or, BCCing someone into an email where you tell a potential client that what they’re offering is unreasonably low and that you’re not interested in working for peanuts. All those things added together can really help to shift the market. Philippa: Definitely. So, on this Blog Action Day, do visit the link to Blog Action Day, which will be in the show-notes, and have a look at the other blogs and vlogs and podcasts that have been submitted – I think it really has the potential to be a really interesting selection of writing. We’re really glad to have been a part of it, and we’d love you – especially if you just found us through Blog Action Day – to go across to our website (alittlebirdtoldme.podomatic.com) and keep in touch with us there. You can also find links there to Lorrie’s website and social media feeds, and my websites and social media feeds, so say hello – we’d love to hear from you! Lorrie: Yeah, absolutely. Do come and say hello and remember, while you’re listening to this podcast, we’re doing what it says on the tin – it’s the Power of We. You’re sitting there, somewhere else in the world…or standing there…or doing goodness knows what, we don’t want to know! Philippa:…and I’ve been Philippa Willitts, and we’ll see you next time! In Lorrie’s first solo episode, she talks about how freelancers can market themselves in difficult times without coming across as desperate and needy. Nobody wants to hire somebody who is pleading for work, so here is some great advice about… How to get writing commissions without embarrassing yourself! Episode 6: – Welcome to the A Little Bird Told Me Podcast, in which two freelance writers chart the highs, lows and no-nos of successful self-employment. You can subscribe at alittlebirdtoldme.podomatic.com, and you can find all of our contact details, websites, twitter and facebook accounts below the media player there. I’m Lorrie Hartshorn and this episode I’m going to be talking about the sad smell of desperation – aka. how to market yourself without turning your clients off! This is the second of the individual podcasts – so apologies to anyone hoping to tune in and hear Pip! In the good news, Pip and I will still be recording on a weekly-ish basis, and these individual podcasts will be shorter than the joint ones and they’re just going to allow us to cover a few more topics without having to both be available at the same time. So, as I say, this episode, I’m going to be talking about how to promote yourself, particularly across social media channels, without sending a massive whiff of desperation in your target audience’s direction – that’s never good. It’s something we all go through, particularly when we start out and/or we find ourselves going through a bit of a dry spell. The temptation to throw yourselves on anyone who has even slightest hint of a relevant lead, and that can be overwhelming, which is why it’s important to get to know your social media – and the associated trends and patterns – and to set guidelines for yourself, which is what I hope this podcast will help you to do. Now, I do say ‘guidelines’ rather than rules because, as a freelancer, you need to be responsive and judge each situation on its own merits. So, no, there aren’t any hard and fast rules that can be applied across the board, but there are some common-sense tricks and tips that you can use to develop a good sense and how to promote yourself successfully. The first tip I’ll give you straight away is that no situation is made worse by you maintaining your composure – it’s one of the top things to do. It gives your customers confidence in you. It makes them believe that you will always be in control, even in the toughest situation, you’re not going to get flustered or buckle under pressure, they can give you a tough project and be demanding in what they want from you. If you maintain your composure, that’s great – it’s a great way to promote yourself. No matter what anyone says to you or sends you, be professional and composed; you don’t sound desperate if you sound in control. And as we’ve mentioned previously, your clients don’t want to think of you as a person – they want to think of you as a service provider. And they don’t want your service to be interrupted by someone having a bit of a panic. So, when you are in control, you can perform to the best of your ability, and this will give your clients real faith in you. The best way to develop a sense of what works for your business and the social media that you’ve chosen to market yourself across is to engage in really consistent marketing. This is – to me – one of the biggest areas that sole traders fall down in – they tend to engage in one-off marketing campaigns, trying one thing and then letting it drop, and so when they don’t get the results they hope for, they don’t see the link and they don’t realise they’ve just not been consistent enough, and that’s when people start to get desperate. That’s when they start to engage in one-step marketing – and there’s not much that carries a stronger smell of desperation, or a lack of planning than that. Now, if it’s not already obviously, this kind of marketing is just not going to work. There are three reasons off the top of my head: firstly, your clients don’t know who you are. All they know is that you say you’re really, really good, which is exactly what every single sole trader says, no matter how crap they are at their job. Secondly, you’re offering your audience nothing of value – one of the most common things that freelancers often forget is that their interactions have to be of value. Now, I’m not saying that every single tweet you send out has to be a gold-mine of copy-writing savvy, or editing marvellousness – in fact, it’s better to intersperse your informative posts with updates that gives over a bit of personality – when I managed a social media feed for a company I worked for, the feedback we got was that clients and potential clients enjoyed the banter. We kept it clean and we kept it nice, but it helped to build up relationships. Social media is social – it does what it says on the tin. However, if you post an update saying, “please send me work, please give me work, please hire me – I’m great!” it’s not informative, it’s not witty, it’s just awkward for everybody. Which leads us on to the third point, which is really the whole point of this podcast – it comes across as desperate. And if you come across as desperate, your potential clients are going to look at you and the only thing you’re telling them is that you’re finding it hard to win business and are having to beg for work. And why anyone would hire you off the back of that, I really don’t know. So no we’ve talked about what not to do across social media, let’s talk about a few things you can do. First off, there are a few things you can do to make sure your social media marketing reeks of brilliance rather than awfulness and desperation. In attention to being composed, be confident. Secondly, be consistent in your marketing, as I say, and this will help to avoid making yourself vulnerable to peaks of desperation! Thirdly, remember to sell yourself – either your skills or your personality – with every update you make. As I say, you don’t always have to be super informative, you don’t always have to be super charming and witty, but try and be one of the two more often than not. Because people will want to follow you – it’s quite simple. You don’t want to follow someone who’s boring and useless, so don’t be boring and useless – that would be my tip! Another good way is to link to interesting posts by other people – feed back into the network a bit. Write some of your own so people will have to retweet you if they want to share that information with their followers. Share some good news from the projects you’re working on – say you’ve got a really good copywriting project going on: tell Twitter about it, tell Facebook, although do be careful with confidentiality issues here – your clients probably won’t want to be mentioned directly! But you don’t have to be all James Bond, super-secret about it – you can say, “I’m working for a client in the charity sector, really enjoying these good news stories!” or “Just done some work for a client in the technical market, had a great time, ready for some coffee!” Be informative but don’t give anything away, if only because you don’t want people undercutting you and you don’t want your clients being uncomfortable because you’ve just outed them for having a copywriter. Give your potential new clients something to chew over – so, pop an informative post up, find an infographic on the net, write a bit about it, tell people what your opinion is, stick that on your website, blog about it, post it to your social media – you’re leading potential clients, then, to your headquarters. It’s very much about getting the fly into your parlour! So, when it comes to sharing achievements and good news about your work and your skills, it’s important to promote without over-doing it. What you don’t want to do is say things like, “I can do whatever you want me to do!” – again, it can make you sound desperate and unrealistic rather than impressive. No one can do anything, so get to know your strengths and play to them. There’s no shame in not being an expert in something you’re not an expert in, unless you’re claiming to be an expert in it. In which case, stop claiming it! If there’s a service you don’t offer, it might well be worthwhile – as I’ve done – considering partnering up with someone who does offer that service – that way, you can offer a positive response when people get in touch with you without acting like you know it all, you can build up a mutually beneficial working relationship with another freelancer who does offer that service. Promote one another – that could bring in more work for you – and you’re being honest and realistic about your capabilities. People appreciate that, I think – they appreciate you promoting yourself…not in an understated way, as you do need to self-promotional if you’re a freelancer, and you need to generate business, but just in a very down-to-earth way. Don’t pretend to be the superman or superwoman of the freelance world because you’re not. None of us are. To say to someone, “That’s not an area I specialise in, but I can certainly put you in touch with a reputable freelancer who can help.” not only looks professional and tells people that you won’t just do a hash job for them in a bid to get any and all work in the world ever, but it also opens up opportunities for that other freelancer to promote you. And it shows that it’s not all about you, the world doesn’t revolve around you and that you have a bit of self-awareness, and that’s always nice. What it’s important to remember, actually, is that as soon as you cease to be the best value for your clients, you’re in trouble. But, it’s worth noting, as I’ve just mentioned, that value doesn’t just come from price – with sites like Elance and Freelancer – and even Fiverr.com – there are always going to be people offering writing at a cheaper rate than you, say, 50 articles at $2. It’s impossible to compete with this people on price and still pay your bills so don’t try to. Your value can come from professionalism, personality, wit, basic classiness, the way you deal with people and quality of work. You’re not just going to do a hash job, and all of the tips I’ve had a think about and come out with so far will come together to build up a very positive picture of you – if you’re consistent. There’s one thing I did want to talk about, and that’s the idea of show don’t tell. Now, this is quite handy across social media because there’s a lot of bumf on there, particularly across social media like Twitter, which is very fast moving. It’s just words, and words, and words…so showing not telling is really important. You have one chance to impress people, very often, and if you demonstrate your value rather than just claiming you have a value, you’re more likely to promote yourself successfully and gain a bit of business. So, instead of saying, “I do really good work,” prove to people that quality of delivery is central to your business. Explain why you’re great value, why your work is so good. Talk about some tutorials you did, talk about a certification you have or an organisation you belong to. Give people something to mull over. Don’t say: “You can’t go wrong with me,” or “I’ll do you the best job!” Instead, prove it: get some testimonials up on your website. Retweet people who say you’ve done a good job. Thank people on Facebook when they say they’re happy with the work you’ve done. There’s another thing I want to warn against as well, and by the very nature, it tends to be something that older freelancers and sole traders tend to do, and that’s trading on the number of years you’ve been in the business. Saying, “I’ve been doing this for 50 years!” (well, I suppose that would make you a bit too old!) so saying, “I’ve been doing this 20-30 years” and then expecting that to be the golden key to some business. Now, if you have been doing this 20 years, you may well have learnt far, far more than some young whippet like me, who’s been doing it for 10 years, knows. On the other hand, you could be one of these people who’s absolutely stuck in their ways, hasn’t kept up with the marketing or content trends and who really is a bit of a dinosaur – it can go both ways. So, if you say to someone, “I’ve been doing this for 20 years,” that doesn’t tell them anything. What you need to be able to demonstrate is how you’ve improved your service offerings over that time and how you’ve kept up-to-date with all the industry trends, both writing trends and the trends in your client’s sector, and why you’re still – after 20 or 30 years – the best choice for them. That’s what you need to demonstrate, not simply that you’ve been doing it for X number of years. Now, we’ve gone through a few don’t-do-this, and don’t-do-that points. I do prefer to be a bit more positive, though, so I’d like to finish off by talking about things you need to do or be to secure your position on social media as someone who’s a really positive person to follow, not desperate and who clients and potential clients are going to believe in. First off: be brilliant. I know that sounds like a really, really obvious thing to say, but be really good at what you do. If you’re not a good writer, or you’re not a good editor, you’re in the wrong job. This is about being a successful self-employed writer or editor, or whatever your field is. If you’re a graphic designer, be a brilliant graphic designer. If you’re a software developer, be an innovative, brilliant software developer. Don’t try and fob people off. In addition to that, believe in what you’re offering. Believe that you’re good – you do need to believe in the services you’re offering people to be able to win business. Now, if you don’t believe in your services, you can’t expect anyone else to either. And, more to the point, why don’t you believe in your services? Why don’t you believe in what you’re offering? Is it that you don’t have the basic talent? In that case, you’re up a certain creek without a paddle and you perhaps ought to be having a look at a different career. Or is it that you’ve let things slide a little bit? We can all let things slide sometimes – we get a little bit overwhelmed. Philippa’s just recorded an episode about specialising and generalising; that could be something to have a really good listen to if you feel that you’ve lost your way a bit and that you’re not quite the expert you want to be in the services you offer. Now, there are plenty of ways of fixing this problem: there are so, so many ways and the internet is a brilliant thing. You can take training, you can take tutorials, you can listen to podcasts – like this one! You can read, you can do practice; I’m a translator and editor, and I practise all the time because there are always things you can be learning. Try and specialise, I would say, in a few areas, I would say. That might be two, five or 10 – whatever works for you. Specialise in a few areas and get really good. Because then, if you find you’ve got more room and more to offer, you can have a look at services and areas that complement those and you can expand your service offerings a bit. You can get better at other things, but get a few things down pat and then you can start looking at other things. Be credible – this is another really important thing. As I’ve said previously, it’s really important to know your industry, and to know your clients’ industries. But – and this is absolutely crucial, it’s one of those things I’m going to over-enunciate to really drill it home! – don’t pretend to know what you don’t. If you get caught out pretending to be an expert in a something that you’re not, either because you don’t know what you’re talking about or, even worse, because you’ve got a project and won the contract, but you’ve delivered a piece of writing that shows no knowledge of something really important in that sector, you can kiss that client – and a good chunk of your reputation, good-bye. It’s better by far, as I said before, to be genuinely helpful and pass the work on to someone you trust who can do the work well. I know this is an opinion that Pippa shares 100% – don’t try and fob your clients off. Be credible and promote yourself in a credible way; don’t claim you know everything. Equally, be sincere with your customers. Treat people with respect; you’re a customer often enough and you know how you like to be treated, so treat people the same way. Make your buyer the focal point rather than running after them like a dog after a bone trying to win any contracts they have going. Be sincere. Be mindful of what you’re saying when you’re chatting to them, or emailing or phoning them, make sure you’re saying things of value, but do remember that your client is a person, not a money pot. If you try and be all lovey-darling with them when, really, all you care about is getting a bit of money of them, that’s going to show and seem fake, and there’s nothing worse than a faker. Alright, there are plenty of things worse than a faker, but being a faker is horrible, so don’t be one! One point I would make is that some people, particularly across social media, may not be looking to make a purchase from you. They might just be chin-wagging with you, or they might be wasting your time. Now, if you get the sense that this is the case, do help that person to the best of your abilities, but be aware that your time is valuable and don’t waste time on someone who’s just got a vague inclination to get some advice or information for free. Remember that there may be potentially seriously interested customers close by. The time that you’re spending on someone who’s asking for free advice, or who’s just shooting the breeze with you, could be spent on someone who’s actually interested in hiring your services. Now, Pip and I are going to cover how to be assertive and still professional in one of our future podcasts, so do stay tuned for that one. Another thing you to promote yourself properly across social media is to be a listener. According to recent statistics on Facebook pages, posts that ask potential clients a question get a 90% higher feedback rate than those that don’t. The message is really clear – customers like to talk about themselves. They like to talk about their needs, their opinions, and they like to feel that you’re interested and that you’re listening. And, in my opinion, they’re perfectly justified in that. One, social media is really social and we all love having a chat and giving our opinions. But secondly, your clients are your work and they have every right to be listened to. Otherwise, you’re not delivering what they want, which is where it all comes undone. Another point would be to be appropriate. As we’ve said before, in episode one or two, I believe, it’s not appropriate to plug your website and your business at every possible opportunity. It’s not appropriate to go on someone’s blog, make a really lightweight remark and then say, “Oh and by the way, I covered something similar on my blog recently – here’s a link!” It’s really tacky and people will know what you’re doing. Equally, it’s not appropriate to market your services with the hard sell at every opportunity. If someone comes along on Twitter (and I know I keep mentioning Twitter – that’s because it’s my main social media feed) and says, “Oh hey, howdy neighbour!” and you go, “Oh hi! Did you know I offer X, Y, Z and 1, 2, 3 services, and that there’s a 10% discount on at the moment and I really think you should have a look!” It’s just really awkward. You wouldn’t go to a dinner party and leap on someone as soon as they spoke to you, so don’t do it on social media either – you’ll just put people off. I was asked whether I’d be interested in joining a networking group recently, but the sell was so hard that I just put the shutters down and was like, “Uh uh, no thanks.” And that was it. I would actually have been really interested in having a look at that opportunity but now I’m looking elsewhere. And people will do the same – they resent the feeling that you’re trying to crowbar their cash out of their wallet, so don’t do it. Now I’ve said that, I’m going to say “Be proactive”, and you’re thinking, “Well, hang on a minute, you’ve just told me to chill out a little bit.” But by being proactive, what I mean is pay back into your network. So don’t just tap into your network of clients, potential clients and freelance buddies when you need new clients. If you see someone who’s looking for a great graphic designer, you notice someone’s searching for one on Twitter, pass that on; recommend a friend. Same goes for any other kind of work – if your client’s looking for a software developer, recommend someone. Equally, take care of the clients that you’ve got. If your customer’s had some good news – they’ve got engaged, they’ve had a baby – drop them an email. Congratulate them. And don’t stick something in there about “Ooooh, 10% discount at the moment!” Just be nice! Make it not all about you getting money and work all the time. If you spot a useful article on writing, share it. You can’t ask for favours without credit in the bank, as they say, but more importantly, you’re going to be building up relationships with people – it’s the long-term gain. People will get used to seeing you around; they’ll know you’re a nice person who thinks about other things than getting work and getting all the customers in the world, and that’s how you establish yourself as a pleasant, positive, and reputable freelancer. If you’re approachable, and your kind, polite and professional with people, that’s the first hurdle gone. If you’re not, people won’t want to talk to you, no matter how good you are at your job. You just won’t get near anyone. I know I said I was going to finish with the positives, but I do have another negative and that’s don’t settle: If you’re going through a really dry patch, you might be tempted to get out there and tell people you’ll do anything for any price. Don’t. Just don’t! Resist this urge with everything you have in you because it’s almost impossible to come back from working for free or for very little, and from being really desperate in public and begging for work, so really, please don’t do it. If you find that your freelance career isn’t paying the bills, take some time out. Consider doing agency work, taking a part-time job, take a full-time job or consider diversifying your service offerings. Sit down, have a good think about your business plan and ask yourself if freelancing really is for you. But whatever you do, do it with dignity and never, never, never share your panic across promotional platforms. Don’t go on Twitter, as I saw someone do recently, and tweet: “Looking for freelance writing work, prefer creative but not fussy!” It’s just everything it shouldn’t be. Now first of all, it goes against everything I said earlier. It tells people nothing, it’s not informative and it sounds desperate. Secondly, “Prefer creative but not fussy” – no one in the history of the world, as far as I’m aware, has made a living by being a creative writer. There are authors – don’t get me wrong, there are indie authors, and they make a living out of it but they’re not copywriters; they’re authors. Now, I do creative writing – I love it, it’s great but it’s not my day job. If I was an author, as I say, that would be a day job but then I wouldn’t be a writer, so I hope you see the difference there. This person is saying they’re looking for freelance writing work and that they prefer creative writing work – don’t we all?! – but that they’re not fussy. They’ve given you a preference but they’re not being assertive, which says, “Do you know what? I’ll take anything” and that sounds desperate. It brings us back to the whole point – it sounds really, really desperate. To sum up: be gracious. Now, it can be really hard, business development. It can be hard on the fingers when you’re typing away, and it can be hard on the soul. But, be gracious. If someone considers hiring you, or a fellow freelancer or a contact offers you a lead, and it doesn’t pan out, make sure you remain gracious and pleasant and professional throughout the whole thing. For potential clients, they’ll appreciate you acting with a bit of grace rather than making them feel like they’ve screwed you over, which, you know, they might have done (and we’re going to cover being assertive, as I say!) but you aren’t going to gain anything by having a go at someone. You might well be so stung by the disappointment of not getting a project you want, that you lose sight of what’s reasonable and what’s not. So, just play it safe and be gracious, even if you think someone’s being awful with you. Just be professional, keep it pleasant. And who knows, they may come back to you. Maybe they arrangement they’ve decided to go with instead isn’t going to work out. Maybe they’ll come back to you, maybe they’ll recommend someone else to you. For freelancers, clients and friends who’ve tried to send business your way, let them know that it’s all appreciated, no matter what the outcome is because, five, ten, fifty times out of a hundred, it might work out. There’s no set number. So every opportunity it one to grab. I really hope this podcast has given you some ideas on how to promote yourself without sounding desperate, especially across social media feeds. Now, self-promotion is a really important part of freelancing and it’s something you have to do, so it’s important to get it right. As I said at the beginning of the podcast, make sure you get to know the social media feeds you choose to market yourself across. Only market yourself across platforms you’re comfortable with. If you hate Facebook, don’t use it. If you loathe tweeting, don’t tweet. If you abhor LinkedIn, don’t go on there. Do what works for you and your potential clients. Bear people in mind and be mindful of what you’re putting out there. Resist the urge to get desperate, be consistent in your marketing, be professional in your marketing and if you keep things on a steady keel, you’re more likely to win business. I really hope this has proved to be a useful podcast. I’d love to hear whether you have any tips of your own on how to market yourself without coming across as over-eager or desperate. You can find both myself and Pip on Facebook and Twitter, and you can see all the details for our websites and LinkedIn accounts at the bottom of the podomatic page: alittlebirdtoldme.podomatic.com. Pip is, of course, just as well versed on this topic as I am, so if you fancy having a chat with either of us, we’d be more than happy to hear from you. In the meantime, though, thank you so much for listening. I’ve been Lorrie Hartshorn and I’ll catch you next time. Episode 8 of the podcast is ready for your listening pleasure! In it, I talk with Lorrie about some pieces of software, apps or websites which really help us in the day to day running of our freelance writing businesses. My guest blog post in which I, to quote Lorrie, wax lyrical about whiteboards. Philippa: Hello and welcome to Episode 8 of A Little Bird Told Me – the podcast where two freelance writers chart the highs, the lows and the no-nos of successful self-employment. You can find us on the web at alittlebirdtoldme.podomatic.com and, on that page, you can find out how to subscribe to make sure you never miss an episode. You can subscribe by RSS, with iTunes or with Stitcher Smart Radio, and you can also find a link to our Facebook page. Lorrie: And I’m Lorrie Hartshorn. And today we are going to be talking about Software and Online Applications that can be useful for Freelance Writers. Now, there are some brilliant applications out there that can really help you improve your productivity and, in some cases, we’ve included some that will actually broaden your service offerings by, for example, enabling you to send email marketing campaigns out. Philippa: In the course of working as a freelance writer, there are lots of tools available, both online and as software downloads, that can really make life easier. A lot of them are even free or very low cost, so Lorrie and I decided that we wanted to share some of our favourites today. Lorrie: Definitely. As a freelance writer sometimes, you can feel that all you need is your dictionary and your Word file and that’s it – you want to be a writer, pure. There’s this impression that any apps are really going to make life more difficult because, of course, you have to learn how to use things at first. And it’s true: if you don’t choose the right apps, they can just add to your workload as you work your way round the internet and round your desktop trying to remember to use them all – that’s how you know you’ve chosen the wrong ones! But, if you choose some that are simple to use and straightforward, and they’ve got a lot of fans, you can get some really great results and you’re on to a winner. Philippa: Yes, definitely. I’ve downloaded apps and software before because they have been recommended and they took much more time to take care of the app than the work itself does in the first place! The trick, really, is to find the ones that suit your working style and also match up with the tasks you need to manage. Lorrie: Definitely, it matches up to what we’ve said in all of the previous episodes that you have to find a way of working that suits you. Same with social media – don’t use Facebook or Pinterest if they don’t suit. And then same goes for applications, whether you download them or use them online. Now, a lot of the applications we’re going to talk about today are actually there to help you boost your key working skills, rather than doing something super complicated and all-singing and all-dancing. As I say, we have included some that will help you deliver specific business services – such as MailChimp, which I’m going to talk about in a minute. Others are just there, though, to make life easier. Philippa: Yes, and they’re not all apps for writing. They cover all sorts of areas that are really useful when you’re freelancing. The first one we wanted to mention is Google Docs, which has recently been rebranded as Google Drive. Now, what this does is offer the ability to produce documents, share them and collaborate with other people. You can also upload files and folders to Google Docs and store them in the cloud. Now, Lorrie and I use Google Drive all the time for this podcast! It’s how we do the vast majority of our planning. We have a shared document with ideas for future shows and we create a new document and share it for each new show. We can both work on the documents separately or at the same time, and if you do it at the same time, you can see any changes the other person makes, live on the screen in front of you. Philippa: Hard to remember now that it’s changed! Lorrie: I keep thinking, “No, it’s not Google Drive, it’s Google Docs!” I’m strangely loyal! As we’re in the document, I can typing away, and chatting to Pip at the same time and jotting down any ideas I have. And what we’ve done, as Pip says, is create a list of topics that we want to cover in future. And what Google Drive allows for is an interactive, organic element to the growth of ideas – when you’re on your own, you can only have so many ideas. When there’s someone to bounce off, and bounce different thoughts off, you can come up with something really good. Now, there are negative some aspects. I’d logged into the Google Doc last night and there’s a little pink square in the corner that says, “One other viewer – Philippa Willitts”. And it could only be Pip because she’s the only person the document’s been shared with apart from myself. But Philippa didn’t say anything – she just lurked there in the corner for a while! And it made me rather paranoid. What I realised however, was that Pip wasn’t being sinister; she’d just logged into the document and gone off doing something else for a while. I think it turned out that you were watching a programme…? Philippa: I was, I was watching a video. I’d just left the page open. Lorrie: There was no time-wasting for 45 minutes! I typed you a couple of messages, like, “Helloooo? Pip?” and put them in big bold letters, but I worked out that you weren’t there and that I could go and get a brew – it was a relief, I have to say. Philippa: Yes, I’m not that scary! Lorrie: Generally, though, Google Documents – or Google Drive, now – is great, and it’s great to have someone there for immediate feedback. Philippa: Definitely – like Lorrie said, if we’re both in the document together, we really do bounce ideas off each other and we come up with a lot more ideas than we started with. We don’t just use it for word processor-type documents either. As soon as we have finished recording, the first thing I do is upload the raw audio file to Google Drive in case of some kind of horrific computer failure! Then when I’ve finished editing the audio, I upload the mp3 file; I share that with Lorrie so she can access it to start transcribing. It really is invaluable, and if we were dealing with everything through email, there’s always that problems of having lots of versions of the same word processor document, and the mp3 files would be too large to send to each other – that kind of thing. Lorrie: Yes, it’s not just easier to send documents to one another, and it’s not just more secure in terms of storage, as you say, it also saves space on your hard drive and helps to prevent your computer getting bogged down with unnecessary and huge files – particularly audio files in our case, they really are massive, so it’s great to have somewhere remote to store them. Philippa: Yes. Google Drive definitely makes my life so much easier. What we’ve mentioned is how helpful it is with podcast planning, but you can expand that to any number of areas of your working life; it’s invaluable really. Lorrie: Yeah, I have a friend who uses it instead of having any kind of word processing software on his computer. He doesn’t have Word, or anything resembling Word, he just uses Google Docs…or Google Drive! I keep saying Google Docs – if anyone related to Google Drive is listening, I’m going to get sued. Sorry! Lorrie: Another app we wanted to talk about today is Focus Booster and this is an application to help you increase productivity levels. While you might be thinking, “I do enough already, thank you very much!” that might well be because you get up, you work through and you carry on working until late at night. And then you sit there and think, “I’ve still got loads of work to do”. This is what a lot of freelance writers do and it’s really not a good idea; it’s not good for your work, as your energy levels will dip and you’ll start to make stupid mistakes, and it’s not good for your soul, either. Who wants to live in their office, even mentally? Who wants to be switched on 24/7? I don’t. Lorrie: Now, Focus Booster – what’s nice about it is that it’s a pretty simple application that’s based on the pomodoro working style, which means “tomato” – it’s a little tiny type of tomato, so it just means ‘bitesize’ really. And what the working style advocated is that you get your head down for 25 minutes and then take a five minute breather, which is really important for refreshing your mind. Have a drink, go and have a wee, stretch your legs and giving your hands a break from typing. I don’t know about you but I get really bad repetitive strain injury in my hands if I type too much. Philippa: I don’t know loads about the pomodoro technique, but from what I do understand, it makes the five-minute break as important as the 25 minutes of work. Lorrie: Definitely, you have to build it in. Otherwise, you get less and less effective as you go through each 25 minute period because you’ve not had a break. You really have to push away from your computer, go and do something else. Humans aren’t designed to sit still and type for hours and hours; that’s not how we’re built. When it comes to Focus Booster, there’s an online app and a downloadable one, and they’re pretty much the same – basically just a sleek little timer that’s set for 25 minutes. It gives you a happy little ‘tick, tick, tick’ for a second and is stays quiet for the remainder of the time. I know that sounds really obvious, but that’s really good because there are some timer apps that actually tick for the whole 25 minutes! Philippa: Oh my God, that must be unbelievably annoying! Lorrie: It really is – I tried one, I can’t even remember the name of it, but it was like there was a bomb on my laptop! Like, “You must get this piece of copywriting done, otherwise the whole house is going to go!” I was sitting there in a panic for 30 minutes; it was just too much pressure. But no, Focus Booster is polite; it’s nice and discreet. Now, apart from being polite and discreet, there are a number of reasons I really like focus booster. Firstly, as I’ve just mentioned, it helps me to be more productive in my working hours so I can switch off when it’s ‘home time’ – at least for me, I have to separate home-time and work-time. I also feel better for having got more done during the day, and I can mentally relax. As well as putting the laptop away, I can put the thoughts away. I don’t have to sit there thinking about what I have to do the next day, so when I do get up, I can start the day with a fresh head rather than thinking about what I didn’t get done the day before. Philippa: This is really valuable. When you’re freelancing it can be easy to get into a pattern of not properly starting, and not properly stopping, and instead just kind of drifting in and out of work mode all day, every day. Finding a way to make a clear distinction between working and not working is something I have phases of finding quite difficult at times. So anything that helps with that will reduce your overall stress and increase your productivity as well. Another reason I like applications like Focus Booster, is that I never usually take on a piece of work that’s going to take me less than 30 minutes – just for productivity reasons and invoicing reasons. If I do take on a piece of work that’s a little tiny thing, it’s either because I’m doing it as a favour or because it’s for a long-term client whom I invoice frequently. In that event, I can just add little 10 minute jobs on to another piece of work when it comes to billing and accounting for the time. But, I only invoice from 30 minutes upwards and I keep track of the work I’ve done in a day with an Excel file – just a nice simple one that contains details of what the work is, who it’s for, how long it took and whether it’s been completed, signed off and invoiced and what have you. Focus Booster is actually really good for motivating you to get through the little 30-minute jobs like press releases, blog posts, news articles, web pages, and it’s also really good if you want to dedicate a bit of time to something ongoing like business development via social media. I don’t want to fiddle about with it all day. So, 25 minutes scheduling some updates is great – I have a lot of Google Alerts that I want to share via my social media feeds, so 25 minutes a day scheduling some of those helps to clear my inbox and keep my social media ticking over. So yeah, thumbs up to Focus Booster! Philippa: Excellent. So I guess, as well as keeping you on track and helping with invoicing and things, it would be quite good if you’ve got a list of tasks to work through. Lorrie: Definitely – in combination with Focus Booster, that’s the perfect way to stay accountable for work you’re doing. While we’re on the subject, accountability really does work – obviously, as you know Pip, when I’m not using Focus Booster, I’m using you for accountability purposes! I’m sorry to break it to you – I’m just using you. You knew all along! Philippa: I use you too, so it’s alright! Lorrie: I forgive you! So, for any listeners who aren’t Pip and me, I’ll explain a bit. We have what we tend to call an accountability day, sort of every couple of weeks, where we clock on in the morning, say good morning to one another by email, and set ourselves targets. I’m not sure about Pip but I’ll have a to-do list that I want to cover during the day. I prioritise everything just while I’m having my coffee in the morning and I’ll decide what I want to do in each 30 or 60 minutes, and I’ll tell Pip what I hope to achieve by the end of each slot. And it really helps me to stay on track. Philippa: Yeah, it’s great. What we tend to do is say, “OK, I’ll see you at 9.30” or whatever time. And then, at that time, we send each other an email. I’ll say, “By half past ten, I’ll have researched this article and finished the introduction.” And Lorrie will say, “I’ll have finished this press release and started a case study.” And so at half ten, we email each other again to say whether we’ve completed what we said we would, and what our next tasks are. Lorrie: Definitely. It helps me, particularly, to really motor through a lot of work – I’ve got a lot of little bits from a number of clients. It’s easy to sort of, once you’ve finished one piece of work, take five minutes – even if the piece of work was only 15-20 minutes. It’s easy to stop and think, “I’ll just read one of the papers, have a chinwag on Twitter…” Not that either of us talks a lot – no, not at all! Lorrie: And it’s good, it’s a good reason to get to know other freelancers, as Pip and I have done. For the rest of the time, or if you’re anti-social, there’s Focus Booster. Philippa: Definitely – I mean, we’ve done accountability days a few times now and it is alarmingly effective! We’ve both got to the end of the day exhausted but having completed so much work. There’s something about making yourself accountable to somebody else, rather than just yourself, that really focuses the mind. Lorrie: True – but the problem is, I’ve been so productive on one of our accountability days, I took the next day off! Hahaha! Lorrie: I was so tired, and I got so much done, I just went shopping! Let that be a warning for everyone: don’t rest on your laurels once you’ve been productive, try and keep it consistent! Philippa: I use them… I have to play mind-games with myself sometimes, just so I can get stuff done. I remember, there were a couple of articles that day that I was a bit intimidated by in advance, so what I kept saying was, “By the next check-in time, I will have…” and I set myself bite-size chunks of that piece of work, knowing full well that, once I started writing, I’d be fine and it’d flow and I’d be able to finish it. The thoughts of setting myself the finished task was too overwhelming, so instead, I set myself small bits of it. Once I started, by the next check-in, I’d completed the whole thing. Very helpful indeed! Lorrie: Yeah, I completely agree. I end up with intimidating pieces of work – I’m sad to say, because some of them are really boring! Sometimes you get a subject you’re not interested in; I call them ‘fried egg subjects’ – your eyes just slide off that page like a fried egg. And you have to focus – you can’t afford to mess around and do something else when you need to focus on a tough topic. I have clients in the B2B sector; I’ve dealt with stuff on nutraceuticals and starches and stuff – it’s so, so boring sometimes. It can be interesting, but when you have a heavy, heavy piece of work, it can be really daunting. So, set yourself a chunk of it to do and then if you get more done, it’s a bonus. If you don’t, you’ve at least made a start. Philippa: Yes, work can be intimidating for a number of reasons – we could perhaps go into this properly another time. It could be that it’s very important, for a very important client or newspaper. Or yeah, it might be boring, very big, very small, whatever. There are all sorts of reasons but finding out what works for you in those situations is very helpful. Lorrie: “Can you copy and paste it into an email?” is my favourite! Philippa: I started using Open Office when I got a PC which didn’t come with Office. I quickly learned that it wasn’t some kind of cheap, pale imitation – it’s actually a really effective and useful programme. Lorrie: Mmhmm. When I bought my PC (I know there’ll be a lot of Mac users out there wincing at that we’ve both got PCs! But we’re defiant, Mac users, you can send us all the hate mail you want…I actually really like Macs, my husband’s got a Mac – I’ve just not converted yet! ), so yeah, when I got my PC, it came with Microsoft Office, which is great. In terms of functionality, it’s a good suite. But, I say that like it was a freebie – it’s never a freebie. Microsoft Office is really expensive, so there’s no doubt it’ll have been added into the overall cost of the computer. But yeah, I’ve used OpenOffice on and off for years and I’ve literally – literally – never had a problem with it. I’ve used it for personal use and when I was working as a secretary, which means that I had plenty of opportunity to really get in there and explore its functionality. I’ve used the database, the document writing software…for a free software suite, it’s excellent. Philippa: Yes, in fact when I have a choice between Open Office and Microsoft Office, I choose Open Office every time. It’s less heavy on the system, it does conversions to pdf much more efficiently, and it is a well-supported programme as well. Lorrie: Yes – you’re right. It can compete on a level with paid-for software suites with no issue. As you say, it’s not just good for a freebie, it’s good full stop. And it’s interesting you should bring up the impact that the programmes have on your system because, when you’re just using your computer for recreational purposes – you log on of an evening, check your emails, do a bit of gaming, whatever – you can afford to be a bit laissez-faire about what you have on there. But, when your laptop is your job, you absolutely can’t afford to have it freezing and crashing all the time – and I speak from experience. That’s it, then: you can do absolutely no work. Philippa: When I was trying to learn how to use spreadsheets earlier this year (I’m quite impressed that I got to 35 without using a spreadsheet but it became a necessity!) – and, for a pretty techy person, I struggled way more than is acceptable with spreadsheets, so I was doing a lot of searching for answers! I was able to find lots and lots of online information and guides for Open Office. There are forums, information pages, blog posts, and even loads of YouTube videos, all with instructions that can help. That’s the benefit of a piece of software being really popular, and it being free really is the icing on the cake. Lorrie: And I was like, “No, Dad, it’s not the internet, it’s an Excel file.” If that was the internet, we’d all be so perpetually disappointed – log on, and there’s just a big empty file. But no, for someone like Dad, I think something like Open Office, which has a range of training materials and resources for it, would be ideal. I don’t want him to go and spend a fortune getting Microsoft Office installed. Really, he’s only going to use it to create files that are Word or Excel based. Philippa: Yeah, there’s very little functionality that the vast majority of people use in Microsoft Office that isn’t available in Open Office. The only one I can really think of that’s significantly better in Microsoft Word is the tracked changes function, if you’re proof-reading or editing. Lorrie: I do rely a lot on tracked changes but I think that’s just because I’m used to it. Philippa: Yes, definitely. I quite often edit other people’s work in Google Docs, partly for the ease of sharing, but there are some clients very specifically want tracked changes and there isn’t a good equivalent for that in Open Office. But other than that, I really would recommend it for the vast majority of people. Because it’s free, you can try it and, then, if you still decide you want Microsoft Office, then go ahead. You haven’t lost any money by giving Open Office a go first – and I think there’s a good chance that most people would get on fine with Open Office on its own. Lorrie: Yeah, unless you’re going to be doing any extended editing…I edit work that’s 80,000 – 100,000 words, in which case, I need the tracked changes function. But most of my copywriting work is no more than a few thousand words at most, and Open Office would be completely fine for the vast majority of it. Totally fine. Philippa: Yep. So, like I said, even though I now have Microsoft Office on my computer, I still use Open Office the vast majority of the time, so that’s why I wanted to suggest that particular one. Lorrie, what’s your next suggestion? Lorrie: But it’s so adorable, it gets away with it. It’s got a lot of personality. Right, MailChimp: when you start to get a little bit busier as a freelancer, and you’ve got your business website up and running, what a lot of people are a bit lax on – which is a shame – is building up a mailing list. Even if you’re not sure what you’re going to do with people’s data – and I don’t suggest doing anything dodgy with it – I’d recommend you start collecting it and storing it nice and neatly and confidentially for future business development opportunities. Now, obviously you can’t just go around scraping people’s email addresses off the internet – it’s bad etiquette and it’ll get you into hot water. Philippa: And, I think, in Europe, it’s actually illegal. Lorrie: Yes, I imagine it would be. Certainly in some ways, it’s illegal. I think you can get round it, for example, if you’re connected to someone via LinkedIn – you can go and scalp their information from their profile, or you can do it via people’s websites and get their contact details from there – there’s nothing to stop you emailing them. Philippa: Yes, it’s about doing it in bulk, isn’t it? That’s where the issues come in. And it’s just bad etiquette, legal or not, it’s bad etiquette to just start blasting out bulk emails to people who haven’t asked for them. Lorrie: That’s it – you have to make sure people opt in and one way to do this is to build a ‘newsletter sign-up’ plugin into your website. By allowing people to sign up to receive news from you, you’re not only able to get their data, you can legitimately justify contacting them and sending them information about you and your services. And when people have opted in to hearing from you, they’re less likely to click “delete”. Philippa: Yeah, yeah, and also – if somebody visits your website just once, they might find it interesting but may never come back again. But if, while on your site, they spot a ‘sign up’ box, and sign up to your mailing list, you have a way of periodically reminding them of your existence basically! This way they are much more likely to come back, and to remember you when they need a writer. Lorrie: Definitely. When I visit many websites, actually, I often don’t go back. It’s not because the website’s bad, it’s just that the web is so huge and I have so much to do on there, and so many things to research, that I just forget really good websites. I’ll visit someone’s site and think, “Ooh, this is really good” but then, obviously, information pours into my head and I’ll forget them. But, if I sign up to someone’s newsletter, and I get a mail from them in a few days or weeks, it’ll send me back to their website. So don’t think that just because someone’s visited your website once, that they’re going to come back if the content’s good enough – they won’t, necessarily. Philippa: Yeah, like you, I’ve undoubtedly forgotten some fantastic websites. I add so many things to my Google Reader that it’s just too overwhelming to ever open! So I faithfully subscribe to blog after blog and, then, occasionally read the top ten posts in various categories and I miss out on dozens of things because, like Lorrie said, there’s so much on the internet that’s good. It is hard to keep track. Lorrie: Definitely. My bookmarks are in a similar state. I bookmark so many good sites and then I never go in my bookmarks because it’s huge! When I click on that drop down box, it’s taller than the page! So there’s not really much I can do with it. I go in there occasionally, but basically, a newsletter is a great way to get people to keep thinking about you. So, when I mentioned getting a newsletter plug-in for your website, Pip and I have discussed this previously – there are lots and lots of plugins (which is a way of adding functionality to your website) for WordPress – which is the content management system both Pip and I use for our websites – that can allow you to do just what you want, from improving your social media to getting people to sign up for a newsletter. So, once you’ve got your website set up to enable visitors to sign up for your emails, you need to start thinking about your newsletters and email marketing campaigns. MailChimp, to get back from my tangent, is a free application that helps you to create mailing lists, plan your email marketing campaigns, it will even help you develop attractive emails, avoid spam filters and – perhaps most importantly – analyse how successful your campaign has been – or your newsletter. So, did anyone open the email with that hilarious subject line you included, or did it go straight to the junk because you weren’t as funny as you thought you were? Or that special offer you sent out – did that tickle people’s fancy or were they not bothered? Philippa: There are lots of options for mailing list management, but MailChimp is the one I use as well. I have to admit that initially I went with it because it is free if you have fewer than 5,000 subscribers, but now I have spent more time using it, it is really user-friendly and has an attractive and very usable interface. And like Lorrie said, so many features for measuring and tracking your campaigns, so you can see what works with your demographic and what doesn’t. Lorrie: Absolutely. By reading the reports that MailChimp sends you after each campaign – it really is that helpful – you can get to know your contacts and learn what works for you and what works for them. This is a step that a lot of freelancers actually tend to miss out – instead, they try one type of marketing, then they don’t bother to analyse the results and then never try it again. That’s one-step marketing and it’s something I’m going to talk about in one of the next couple of episodes, so stay tuned for that exciting stuff. But yes, the great thing about MailChimp is that it’s absolutely gorgeous; it’s got a little chimp in there and it sends you interesting links and things. You can switch it off but it’s half of the fun. It’s pleasant to use, it’s easy to get email marketing and e-newsletters right with MailChimp. It’s totally free, as Philippa says, and there are some brilliant resources on there that will walk you through all of the app’s capabilities step by step. And just, one final thing, really, to go back to WordPress, MailChimp can actually be integrated with your WordPress based website, so that when someone signs up, the information goes straight to your MailChimp account, which makes building mailing lists really simple. Philippa: Definitely, and there are probably people listening, thinking, “I don’t have time to write an e-newsletter – oh my God!” but one thing I recently discovered on there is that you can set it up with an RSS feed so…the RSS feed for, say, your blog – you can set up an email campaign where, perhaps, once a week, or once a month, the people who’ve signed up to your e-newsletter will receive a mailing with the latest posts from your blog automatically – without you having to do anything. And you can choose some attractive layouts and a good structure for it. I think writing an e-newsletter in full is probably better in terms of building a relationship with the people on your list but, if you don’t have the time or the inclination to do that, using something like the RSS auto way of doing it is better than having a mailing list and not sending anything out, or not having a mailing list at all. Lorrie: Yeah, it’s brilliant. I don’t think you could get an application that makes it much easier to follow up with a bit of email marketing, whether that’s an email marketing campaign specifically, with an offer, or a newsletter. MailChimp is great, and it’s free, and I’d recommend anybody sign up with it. Philippa – Now, the next tool we want to look at is Boomerang, and it’s a tool that you can use with Gmail. I use Gmail, partly because I have some Gmail email addresses but also, I have all my website address redirected so they all arrive in my one Gmail inbox. It coordinates everything, basically, and has such great functionality that I wouldn’t want to use any other set- up. Philippa: Understatement! I don’t want to give a bad impression by sending off some work at 9pm on a Thursday evening, or 7am on a Sunday morning. I just think it doesn’t look very professional to be sending off work at weird times of day because, if you’re B2B, you’re mainly sending work to people in offices. However, trying to remember that on Monday morning I need to send off 3 articles, and on Tuesday I should send some marketing emails, just added stress to my already stretched mind! It was just one more thing to try to remember. Lorrie Yes, your to-do list can end up huge if you add in all the little itty-bitty emails you need to send out, and it puts extra pressure on you. If you turn up to your desk – or kitchen table in my case – on Monday morning and you have a massive to-do list and half of it’s emails, they might only take 30 seconds to send, but you’re faced with a huge ream of tasks to do – it’s not good. So yeah, Boomerang is brilliant. And, while it’s pretty obvious, I suppose, to say that you don’t want to send your emails out at any old time, but there’s not just the professionalism reason. Your open / conversion rate is never going to be great if you send a sales email late on a Friday afternoon. Lorrie: If you send something you really need to convert, and you really need to work with people, you need to choose your time, and the best time would be about half eight in the morning on a week day, in my opinion. Philippa: Quite often mid-week I’m seeing my success with, but I guess it varies. Lorrie: Yeah, Wednesday and Thursday are always nice days. Philippa: Yeah, that’s what I’m finding. Lorrie: No, it’s true! Monday – people hate Mondays. Tuesdays – people have decided, “Alright, the week’s started, there’s nothing I can do about it so I might as well do some work.” And they’re too busy. Wednesday – they’re getting a bit bored of working, they’re like oh, enough of this now, where’s the weekend? Thursday, they’ve already mentally clocked out – they want your email, something that’s not work. Philippa: And the thing is, with Boomerang, you can test this with your own market. So, try sending out a particular email at 8.30 on Monday morning, try it with a different group at 2pm on a Tuesday afternoon – it’s a way of seeing what’s most effective. Lorrie: Yeah, split testing is really important – like analysing your email marketing campaigns afterwards, it’s something that a lot of people miss out on doing because they think, “Oh, I don’t have time for this jazz!” but, if you do a bit of research, once you know, it’s done! So, when you do finally have a quiet day, don’t do what I did the other week, and go shopping and get some really nice bargains (I really did get some nice stuff actually!). But no, spend some time, do some split testing, and see what’s what. Philippa: The way is works is that Boomerang sets up within your Gmail interface and adds an extra option to your sending options. As well as your usual “Send”, “Save” at the top of a message, it adds “Send later” and when you click that, you can choose what time, and what day, the email should send. Then you can forget about it. As well as specifying an exact time or date, you can either specify an exact time and date, or you can choose an option like “tomorrow morning” and it will randomise the time. The first few times I used it I was totally neurotic that it wouldn’t send and it would disappear into the ether, but it is actually great (I hope those aren’t famous last words!). It really takes the pressure off, knowing that one little bit of your work will be done for you. Lorrie: Yes, you can tick it off, can’t you? But, as you say, it does take some time to get used to automating things – you find yourself double-checking (I was the same when I started scheduling tweets, for example) but when you know you’re dealing with a quality interface like Boomerang (or Tweetdeck, which is what I use to schedule my tweets), it really does take the pressure off. Philippa: The other thing that Boomerang can do is offer you the option to “boomerang” a message (which means, to make it reappear in your inbox) if you haven’t had a reply in a set period of time. This isn’t a feature I use very much, actually, but it could come in really handy for following up pitches. If you want to re-email somebody who hasn’t replied within a week, or a fortnight, say, you can get Boomerang to make the message reappear to you in a week’s time. Lorrie: This is something that would be really useful for me at the moment. I’ve had a number of potential clients recently get in touch, say, “I’m interested in your services, can we chat?” Now, I’ve got back in touch with them and it’s gone a bit quiet, so I’ve followed up with them and they’ve said “Oh, yes, definitely interested. I’ve got A, B, C situation going on at the moment. Can you get back in touch with me in a week, two weeks, a month?” I have a potential client at the moment whose mother is over from Australia at the moment, and she’s going – Boomerang would be perfect for that. At the moment, I’ve had to use Google Calendar and set myself a reminder. Lorrie: Yep. It’s the same as having emails on your to-do list, as we said earlier, because they’re just itty-bitty pieces of work that should just be taken care of by themselves. As you say, I don’t want my inbox or calendar clogged up with, “Send this email, check that email.” It’s a pain, so that’s definitely a functionality that I haven’t used yet but will in future. Philippa: Yeah, it’s one I should start using more often. Now, for the details: Boomerang is free to use for up to 10 messages a month. If you choose a personal account, for $4.99 a month or a professional account, for $14.99 a month, you can use it for unlimited messages and get a few other features such as the ability to use it on your mobile and also to send recurring messages. But yeah, that’s Boomerang – I’ve used it for ages and I think it’s brilliant. Lorrie – The final application I’m going to feature on this one is called Remember the Milk – and it’s another one for boosting your core work skills. It does what it says on the tin – it’s an app that will help you to remember important tasks throughout the day, it’s effectively a to-do list, but digitised. So, while some tasks can be scheduled and forgotten about, some need to be kept in mind, by way of a ‘to do’ list – Remember the Milk is a lovely simple app that – as I say, it does what it says on the tin. Now, it’s not to everyone’s taste, something like Remember the Milk. I know that both Pip and I can be a bit traditional when it comes to to-do lists – and that’s fine, whatever works for you. Fairly recently, Pip wrote a guest post on a blog, and she was waxing lyrical about her whiteboard – and you might think “Hmm, whiteboards – how can you get enthusiastic?” but I was there in the comments section, like, “Yes! Whiteboards – God, they’re brilliant!” I’ve got a big whiteboard and a big corkboard, and I totally agreed with Pip! Philippa: And you weren’t the only commenter to agree, either – it’s clearly an unspoken passion! Hahaha! Lorrie: Boardaphiles! 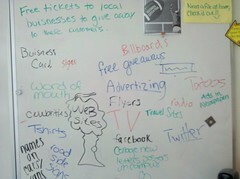 Honestly, I do really like my whiteboard! But however you do it, a well-managed to-do list is a massive help; it helps you to see what needs doing, what needs to be prioritised – you know what needs doing, you just don’t know which order to do it in. And it’s good, as Pip mentioned earlier, for playing mind-games with yourself. If you can stick something on your to-do list and you can then cross it out, it’s a bit of a boost. I tend, mostly, to use a paper list and Pip tends to use a whiteboard – I just get covered in ink with my whiteboard, a lot of the time, so it’s a bit of a love-hate relationship. So, Remember the Milk is definitely worth a mention, particularly for those of you who are out and about a lot, or who just prefer to keep everything digital. Philippa: I seem, actually, to be the only person on Earth who didn’t get on well with Remember the Milk! People are so excited and passionate about it. But I’m not sure why, I just found it kind of unwieldy and did better with a paper list, a whiteboard – like Lorrie mentioned – and a basic Notepad document! Lorrie: Oh, so this is how it is. This is how it is, Pip – so you mention all your wonderful apps and then I mention one and you diss and dismiss it! Philippa: I tried to like it! People say how lovely and marvellous it is – I really tried but I just found it annoying, and it was actually adding tasks to my day! Like, Oh God, I’ve got to go and check Remember the Milk now…! Lorrie: Hahaha! Remember to check Remember the Milk! Philippa: And it’s funny because most people do think it’s marvellous. I just don’t, really! Lorrie: No, as we mentioned at the start of this podcast, if it makes life harder for you, it’s just not worth it. Yeah, I do still prefer my notepad – as in, my actual physical paper pad – and I’m not sure, maybe that’s because I tend to work from home rather than cafes or shared working spaces or what have you. And I do tend to stay put as much as possible during my working hours. I don’t have too many meetings in person because my clients are all over the place, I tend to have Skype meetings, e-meetings or phone-calls. So, there’s minimum opportunity for me to lose my notebook if I don’t have to drag it around with me very often. It’s nice actually, to have to write something rather than type it for a change! Philippa: Yes – as writers, most of us do very little writing with a pen, so it is nice! Lorrie: It’s true – it’s like, “What is this thing, leaving a stain on a bit of paper? It’s marvellous!” I think, though, for people who are out and about a little bit more often than me, Remember the Milk is one of the best to-do apps to go for. While I’m not super enthusiastic about it because I like my paper, it’s got over 4million users, and I think that’s because it is so ‘no frills’ and because it can be synched with any number of online platforms and technologies, including Gmail, iPhones, Google Calendar, Blackberry and Outlook. Really anything you can think of, it’s pretty capable. What that means is that you don’t just have to use it for assignments like, say, a piece of copywriting that you’re going to sit down at your laptop and do, you really can use it for all sorts because you can tick things off and add things on while you’re on the go – sitting there in a bus or on a train. You don’t even have to be connected to the internet – you can download the app and manage your list while you’re offline. Philippa: Well, it’s certainly a very popular app and just because I didn’t get on with it, that doesn’t mean that you won’t. So, give it a go – so many people find it really helpful. Now, before we go on to the final app we’re going to talk about, I just want to make a short apology if the sound quality has just changed. We’ve had to go on to a separate call because…Lorrie’s husband needed the headset, really! Haha! Lorrie: How dare he – he stole my headset microphone. It’s actually his, but still, he stole it from me. So, I’ve got my face up against the laptop and I’m hoping that the internal mic will see me through until the end of the podcast. But, as we say, apologies if it’s gone a bit fuzzy or unclear! Philippa: The final app we’re going to talk about it is my final pick – a tool called Rapportive. I first heard about Rapportive through Pat Flynn, who runs the smartpassiveincome.com website. If you haven’t checked that out, by the way, it’s great – he’s got a brilliant website, podcast, YouTube channel – he’s everywhere and he’s very good, so if you’re interested in issues of passive income, check it out. Anyway, he was the person who first told me about Rapportive and it’s a tool which, like Boomerang, works through Gmail, but its role is to manage the relationships you have with people. It is really quite ingenious, and also free. When you have Rapportive installed, whenever you open an email, there is an extra panel on the right side of the screen and that panel contains social media links to the person whose email you have open. Obviously it only displays profiles that are publicly linked to that email address, but it is really useful to have direct access to someone’s Twitter, Facebook and LinkedIn profiles as soon as you hear from them, just on the side of the screen from their email. Philippa: Yes, it doesn’t do anything creepy like finding things out about people that you shouldn’t. Lorrie: …you’ve got a bit more than you bargained for but, I suppose, in that case, you can be a bit more delicate in what you talk about. Joking aside, it’s really good and it’s a great way of tracking people across social media platforms. Philippa: Definitely. The panel that appears also displays information about the person’s website, which is usually the URL and a summary of the site, pulled from the meta tags. You are also provided with any public contact information from Google Contacts. The final feature that Rapportive offers is the ability to make a note, within the Rapportive panel, about the person who sent you the email. Now, this is totally private, so the person you are making a note about won’t see what you have written about them. Philippa: And this note-taking ability is useful in a number of ways. Firstly just as a reminder, for instance, “I met this person at the networking event in September at the town hall” or “I worked with this person at such and such a place”. If, like me, you have a bad memory for names, this is invaluable! Lorrie: That’s actually reminded me of something – I made contact with someone a couple of days ago and they were interested in my proof-reading services. He asked me whether I’d phone him after the weekend, so dutifully, I phoned him back and it became pretty obvious that he couldn’t remember who I was. And he did this brilliant little trick – I even told him it was brilliant when he phoned back! – he said, “Oh, I’ve got another call coming through, can I phone you back in just a second?” and he phoned me straight back and was like, “Right! Lorrie! Proof-reading!” I knew immediately what he’d done, and he knew that I knew, and he was actually pleased I was so impressed. Rapportive, though, would obviously stop you having to do that. Lorrie: Another nice thing about Rapportive is that it’s situated where your adverts would normally be. Lorrie: That’s really nice for me because I’m sick of seeing adverts in my emails. It’s really good to have some useful information for your eyes to glance over if you’re emailing someone or phoning them, rather than there being an advert. Philippa: That’s really true. The note-taking capability can be especially useful for a freelancer. In the notes section you could add information about why the person contacted you, or if you have worked for them before you could even make a note of whether they paid on time, or were easy to work with! It can be a good reminder if there’s a client from a while ago, that you might have to be a bit strict with. To have all of this information available within a few seconds of opening an email from somebody really is extraordinary. If I do some really interesting work with a client, when I open their email I am reminded by the Rapportive panel that they are on LinkedIn so I will often go straight there and add them (in fact you can do this directly from the Gmail panel). Also, if I can’t quite place somebody their most recent tweets, also listed in the panel, often give me a clue and even entirely outside of work, if I get an email from a friend I can instantly see from their most recent tweets what is going on for them! Lorrie: That’s nice – I tend not to use Facebook for personal stuff anymore; I’m a little bit concerned about the privacy issues, so I tend to use it just for business now. But that does mean I miss out on people’s day-to-day updates, so Rapportive is a nice space-filler for that. Philippa: Yes, and like I said, it’s free, so out of all the apps I’ve mentioned, I might recommend this the most strongly. I would definitely recommend giving it a go if you feel you might need a hand managing your contacts. If you value the screen-space you might not enjoy Rapportive quite so much, but it’s easy enough to uninstall if you don’t like it. Lorrie: Yeah, it’s one of these easy add-ons to Gmail. To get popular as an app developer, you’ve really got to be slick. So, something like Rapportive, which is hugely popular, is very user friendly – it’s a pleasant user experience, the functionality’s great, it’s not intrusive, it gets rid of the ads. So yes, thumbs up for Rapportive! Philippa: So I hope that we’ve been able to give you some ideas, and also to highlight that you don’t have to spend a fortune on tonnes of software in order to function as a freelance writer. Many tools are free or very low cost, and the worst that can happen is that you don’t really like them. Lorrie: Yeah, totally – nothing to add! Philippa: I will make sure I put links to all the apps we have suggested in the show notes, so do pop over to our Podomatic page so you can get hold of those, as well as find out how to get in touch with Lorrie or myself on social media or our own websites, and also to subscribe to this podcast. Lorrie: Definitely. The address again is alittlebirdtoldme.podomatic.com, and the transcript will be available when my fingers are feeling friendly enough to type it up, and that will also be at the Podomatic page. Yeah, like we say, have a look at our social media feeds and websites, get in touch! Let us know if there’s an app you enjoy using that we haven’t mentioned, or let us know if you hate one of the apps we’ve included – and tell us why! Philippa: Definitely. And in the show-notes, we’ll also list some links to other blog posts that recommend other tools for freelance writers – and freelancers of all kinds, really – so if you want more ideas than what we’ve given you here, there are plenty if you look at the links we’ll provide. Now, we have some great episodes on the way – we’ve got more solo episodes coming up: next week, there’s a solo episode from Lorrie. We’ve also got some dual episodes coming out – we’re hoping to alternate between dual ones and solo ones but we’ll see how it works out. Now, whatever way you normally listen to podcasts, make sure you subscribe to A Little Bird Told Me. As we say every week, you can subscribe by RSS, iTunes, Stitcher Smart Radio – do it, then you’ll be the first to hear when we have a new episode out. Philippa: …and I’m Philippa Willitts, and we’ll see you next time! This is the first of my solo podcast episodes – Lorrie and I are going to do some individual ones as well as continuing with the ones we do together, so I really hope you like it! Tune in for information about whether or not specialising is a good option for freelance writers. Hello and welcome to Episode 7 of A Little Bird Told Me – the podcast about the highs, the lows and the no-nos of successful freelance writing. I’m Philippa Willitts and I’m here today without my usual co-host Lorrie Hartshorn. There’s no need to worry: Lorrie and I haven’t had some kind of horrific argument with me winning custody of the podcast. What we wanted to do was have a chance to add to the dual episodes by also creating individual episodes on topics that one of us might know more about than the other, or be more interested or specialised in. We are going to carry on with the dual episodes too, while adding in these shorter individual ones. So, what I’m going to talk about today is whether or not freelance writers should specialise in a particular niche, or whether they would do better to be a generalist, knowing a little about a lot of things. There are certainly positives and negatives for each option, so I’m going to look at the various issues involved. Now, personally, I’ve got a strange, but effective, combination of specialist and generalist work that I do. I market myself as able to do both, and have separate websites, one for general copywriting and one for more specialist work. 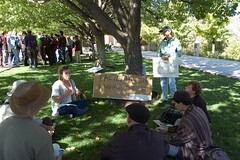 On my philippawrites.com site I promote my abilities to do a wide range of freelance writing tasks. I share links to my media writing, social media and SEO writing, blog posts, everything, really that I write. 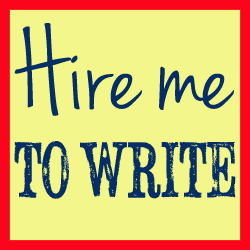 I also have a page on there about my proofreading and editing services, my educational background, and the different types of freelance writing I can do, such as press releases, blog posts, web copy – that kind of thing. Then I have my specialist site: socialmediawriter.co.uk, where I explain that I specialise in writing about social media, SEO and internet marketing. I have a lot of expertise in these areas, so creating a separate site purely dedicated to them makes a lot of sense. So, why would a writer choose to specialise? Firstly, the specialist expertise and knowledge that you have can mean that you can justify charging higher fees. Instead of being one freelance writer amongst thousands, you can grow to be a big fish in the small pond of your specialism! This means that your name is more likely to get known, particularly amongst the people who might be interested in hiring you, because it is easier to make contacts if you have particular targets in mind rather than just any business. People are also more likely to refer people to you if they know you are a specialist in a particular area. For instance, while I am happy editing any kind of non-fiction documents, and happy editing fictional short stories, I know I do not have the specialist knowledge to do justice to longer fiction, such as novels. I also know that Lorrie specialises in literary editing, so I would feel completely confident referring any enquiries to her that I felt I couldn’t deal with. If she did not have that expertise, there would be no immediate reason to choose her over anybody else. Similarly, if somebody received an enquiry about some writing that involved some really in-depth knowledge about social media that they knew they didn’t have the expertise to cover, I might be the person to pop into their mind because I do specialise on that subject. That side of things does make it very hard for generalists to compete with specialists. Having a website dedicated to your specialisation also makes it much more likely that you will start to appear in search engine results when somebody is searching for a writer in your niche. Generalist copywriting sites might list, say, “food writing” amongst many other examples of topics they can cover, but a whole website about food writing is much more likely to rank highly. There are also benefits to specialising in terms of what happens when the work starts to come in. Firstly, there is often less research required because you’ve already got all the background knowledge you need. If I get a general copywriting task about, say, garden furniture, then the first thing I have to do is research garden furniture – I need to find out what’s available, what is currently on trend, how much it costs, what particular concerns customers have – all that kind of thing. Whereas if I get a niche commission about Pinterest, I already know what Pinterest is, how it works, who its primary users are, how companies are using it to promote their work and so on. So I can get straight onto researching the exact topic the client needs. Some writers… rather than specialising in a particular subject, specialise in a type of writing. This might be e-commerce sales pages, or press releases, or scripts for sales videos. The same benefits – and the same drawbacks – apply, really, whether your specialisation is a topic or a style of writing. But, there are also some really valid reasons for not specialising. The first is if there’s simply no area in which you feel you have a lot of expertise or interest. You have to be quite fascinated by your specialist area because it will hopefully end up being what you spend most of your time writing about. If nothing springs to mind to focus on, it is perhaps not the right time to think about specialising. Another point is that specialising does, by definition, really, limit the work you might be awarded. If somebody wants copy for 10 pages of a website, and only one of those is in your specialist area, you might have “niched yourself out” of getting a commission to write the other nine! By offering general, non-specialised services, you can open the market up massively in terms of the types of work you can get. You might also be more likely to keep a steady stream of work coming in if you do not limit your topics or types of writing to one or two particular areas. Another point against specialising is that you will find that the work you get will depend on the ongoing success of the market you have specialised in. If you have been writing about film photography, and only film photography, for years, then the massive explosion of digital cameras and corresponding reduction in interest in film photography will have had a significant impact on the amount of people who want to commission work in your area. Of course, people do still want film photography writing although, relatively speaking, it’s become a much smaller part of the market. Trends can change quickly, and if you have failed to take this into account then something that’s a thriving market today could reduce in size dramatically with new fashions or technological advances. It’s one of the reasons why specialising in social media, I have to keep an eye on all the social media trends – I can’t just focus on say, Facebook or Twitter because that’s not adequate in today’s market, and because there will – at some point – be a day when Facebook and Twitter have become what MySpace is now. And if I’m not on top of the newer platforms, then I’ll be in trouble! Offering general freelance writing or editing services does certainly keep life interesting, because you could be working on an entirely different subject every day or every week. It keeps boredom at bay! If you do decide you want to be a freelance writer with a specialist subject, there are certain things you must do, and skills and knowledge you must have. Especially if you are expecting to be able to charge higher fees, the expertise you have has to be up to scratch to justify that. There are various ways to develop – or claim – expertise in a niche. One is through education or training. If you have a degree in Sports Science, then sports or health writing could be an ideal specialist area for you. Similarly, the jobs you have done can inform your writing so if you used to be a teacher, education writing could be great, or if you have been a nightclub DJ then people will respect your opinions about, and writing on, music. Having worked in the area you specialise in can have more benefits than that, actually, which is that you probably already have contacts in the area. If you left your job in Human Resources, say, to become a copywriter, then who are your former colleagues and employers going to go to when they need their website copy rewriting? You’re the obvious choice. However you can’t rely on past learning or work experience to keep you going in a specialist field. This is especially true if you specialise in areas like SEO and social media like I do, as these are areas where there is new information daily. To keep on top of my niche, I listen to many hours of podcasts a week, I attend training and webinars regularly, and I read and read and read: everything I can find in these areas. The sheer amount of time I have to spend just to make sure I don’t miss any new developments, and to make sure I understand exactly what people are doing, currently, with Twitter or how they are using Google Plus, is huge, so don’t underestimate the need to not only have a lot of knowledge to specialise, but also time you’ll have to spend a lot and energy you’ll need to stay up to date, especially in fast-moving fields. For me, a nice combination of general and specialist work suits me really well. I get the opportunity to really geek out about SEO and social media, and work with people who are as knowledgeable and passionate as I am on the subjects. But I’m also able to get those wonderfully random assignments about anything and everything that keep life interesting and fresh. If you are doing the same, I would strongly recommend having separate websites for your specialist work and your generalist work. If you want some ideas about that, do check out my two sites: PhilippaWrites.com and SocialMediaWriter.co.uk. You can certainly link from one to the other, but the SEO will be better if they are separate, and people wanting your specialist work will be more convinced and take you more seriously if you have a dedicated website in the area. Generalist working can be a good back-up plan if you are not getting enough work in your specialist niche, or if interest in that subject wanes in general. And being a generalist is not in any way ‘lesser’ than being a specialist, so don’t pursue a specialism just because you think you should. It’s like the difference between a family GP and a specialist neurologist: both have very different, but very important, roles to play and neither could work without the other. So, hopefully that’s given you some things to think about when thinking about whether or not to specialise as a freelance writer and, if so, how to go about it. Let me know what you think. If you go to alittlebirdtoldme.podomatic.com. You can find links to my websites, and how to contact me. You can also – from that page – subscribe to the podcast to make sure you never miss an episode. You can do that by RSS feed, iTunes and Stitcher Smart Radio. The links are all on our podcast page, which is at alittlebirdtoldme.podomatic.com. I’ve been Philippa Willitts – make sure you tune in for the next episode, and thank you very much for listening!